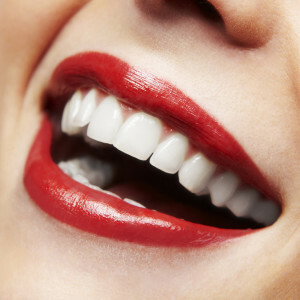 Oral health is a very important part of your overall health. There is a growing body of literature that supports a link between poor dental health and cardiovascular disease. Extensive tooth and gum disease leads to increased inflammation throughout your entire body. This in turn may lead to blood vessel problems. Pulmonary arterial hypertension is not caused by dental problems but the resulting increased inflammation may amplify the disease. Regular dental check-ups are important to prevent abscessed teeth that can become very serious infections. It is important to inform your dentist of your medical history (including pulmonary arterial hypertension) and any medications that you are taking. Some dentists will request a medical release form from your pulmonary hypertension physician prior to doing anything other than routine cleanings. Q: Why is my mouth so dry? A: Many medications cause dry mouth. This can be a very frustrating symptom. It is especially challenging for PAH patients as they need to avoid drinking too much fluid. Treatment options safe for pulmonary hypertension patients include use of sugar free chewing gum or sugar free hard candies and or sucking on ice chips. Some patients use Biotin with benefit. Q: If I am on warfarin or other blood thinners is it safe to have my teeth cleaned? A: Yes. Blood thinners do not need to be stopped or interrupted for routine cleaning or dental cavity treatment. Do inform your dentist that you are taking blood thinners prior to the appointment. Q: If I need a tooth extracted what should I do with my blood thinners? A: This depends on the indication for anticoagulation. In my practice, I stop blood thinners in advance of dental extractions unless the patient had a recent blood clot. If the patient had a recent blood clot then I delay the dental extraction for at least six weeks. It is important to contact the physician prescribing and monitoring your blood thinners to set a specific plan. Q: Do I need to take antibiotics before my dental cleaning if I have a central venous catheter (intravenous Flolan/Veletri/Remodulin)? A: There is no data to support taking antibiotics to prevent catheter infections for routine dental cleaning. Q: What are my options if I don’t have dental insurance and can’t afford dental care? A: There are several options. First, most major cities have dental schools where patients can get free or discounted dental care by having dentists in training (supervised by fully trained and certified dentists) deliver the care. County or reduced cost dental clinics exist in some communities. Many cities have an annual program where dentists in town hold a day or two where they deliver free care. Some dentists are also willing to reduce their rates and arrange payment plans.